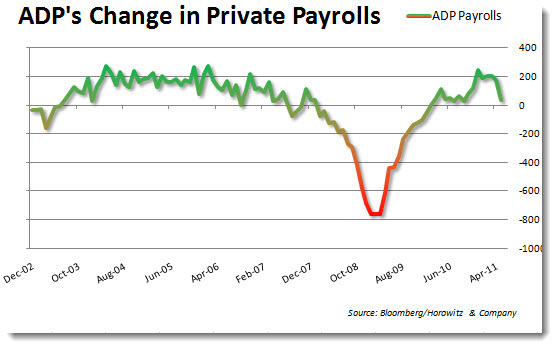 The ADP number was exceptionally weak. Missing estimates by over 150,000 shows that the slowdown is for real. It appears that last week’s economic reports are no fluke and the lower consumer confidence report that we saw yesterday was spot on. The hardest hit area from the ADP report seems to be the good producing sector but all things considered, a rise of only 30,000 at this stage of the “recovery” is not cause to celebrate. 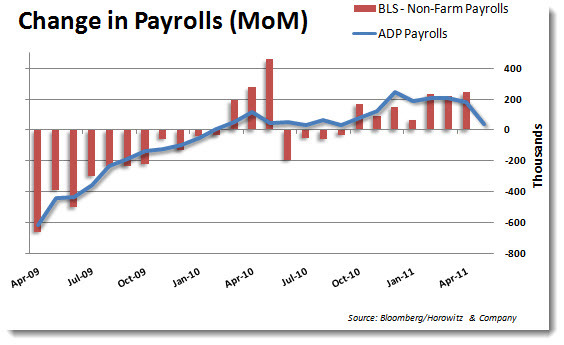 There is a generally a good correlation between the ADP number and the all-important NFP report that we will see this Friday. We will certainly read about a good number of downward revisions to that number over the next few days. 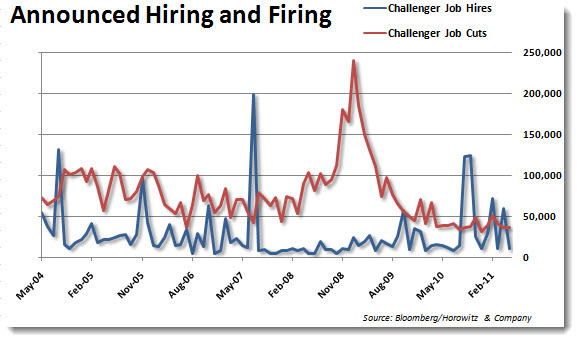 Finally, notice that on the chart below there has been an uptick of firing announcements and far fewer for hires. That is consistent with what we are seeing with the manufacturing and PMI numbers released over the past few weeks.